In 8.1 release, we offer agents the flexibility to stop new chat interactions and wrap up the chat sessions in progress while handling multi-chat.With this enhancement, agents winding up for the day can block new chat interactions being offered to them and manage the workload better. In the control panel, agents are offered Stop New and Resume buttons. Stop New button is only available in busy state during multi-chat. Monitoring shows the change of agent status to stop new. While processing chat interactions, you are automatically on busy status. On wrapping up the last chat session, your status changes to Post Processing and then to Work Offline instead of being offered a new chat. While on Busy (Stop New) state, you are blocking any new chat requests. If you wish to resume, click Resume. 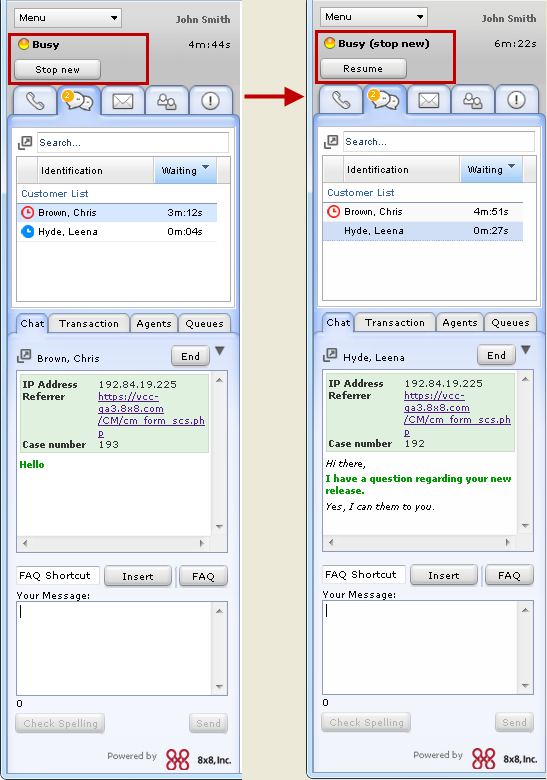 As a contact center supervisor, you can monitor agents blocking new chat requests. 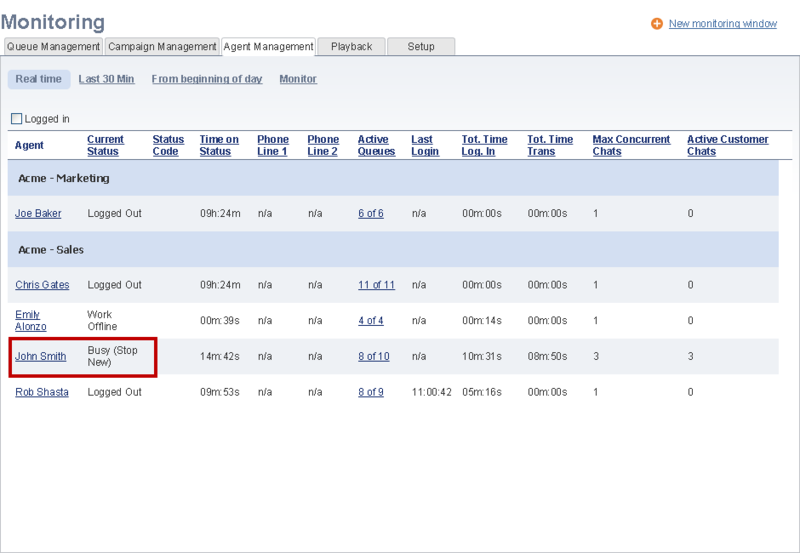 The Monitoring window shows agents' change of status to Busy (Stop New).